It all happened in the blink of an eye. The baby chicks that were brought home in early spring were quite adorable and cuddly. Who can resist these cuties? Now they’re almost all grown up and you have no idea what to do. Don’t worry; you’ve made a sound investment. 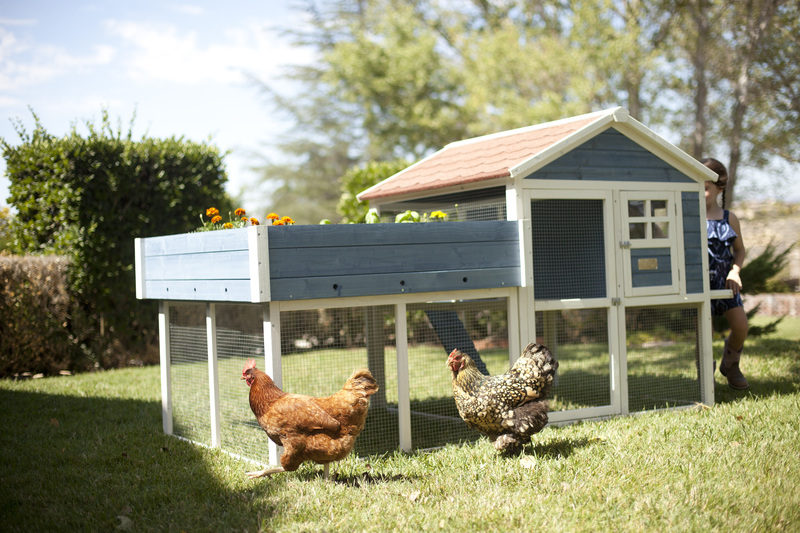 With a little TLC you’ll be enjoying fresh eggs every day and have a pest free yard. So, take a breath, relax, you can do this. Here’s a guide to Summer Chicken Care now that they’re growing up. Whether you hatched them in an incubator or adopted them from a local farm, knowing the age of your chickens is all too important. How they are fed is different and as they approach maturity and begin to lay you’ll want to ensure the proper nutrients are instilled into their diet. This in turn, goes to their eggs and when you have fresh eggs available in your home;you’ll know you’re getting those nutrients too. Don’t forget to give them grit too–a necessary need. Depending on the breed of the chicken, eggs will start to earlier than you might think. Check out this forum. There are a lot of options out there for Chicken Coops and it can be divided into two main categories, Do It Yourself or purchase from a manufacturer. 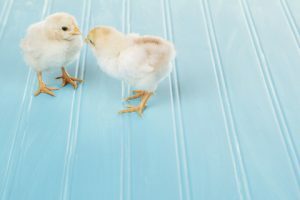 The DIY way can be personally satisfying, but if you’re new to the backyard chickening world, make sure you follow standards for healthy and humane living. If you decide to purchase from a manufacturer Advantek has you covered. 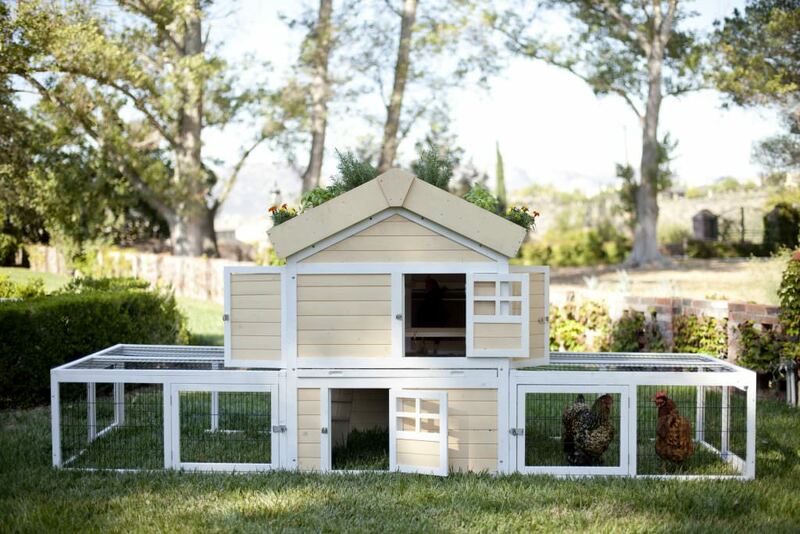 From our humane standards to our line of chicken coops, we have one to fit your needs. Remember that nesting boxes is not a place for hens to sleep. These need to be set up in advance of the hen laying an egg–yet another reason why it’s important to know how old they are. Be patient. Just because they can start laying eggs at a specific time doesn’t necessarily mean that they will. Many factors can affect egg production and keeping your hens stress free in humane conditions will give you a great start. For suggested humane standards, please click here. Don’t be surprised if the first egg is misshapen or small. This is very common and it does not mean the egg is bad. In fact, it’s not uncommon for eggs to not be in the shape we know or expect them to be. Hens all over the world lay misshapen eggs. Those meant for mass production are usually cracked and sold. Just because it’s a little off doesn’t mean it’s of poor quality. Chickens like most animals need to be kept cool on those hot summer days. While proper ventilation should be built into the chicken coop that you own, finding ways to add additional air flow is key to keeping chickens cool as the weather heats up. This includes adding a fan inside of the coop–that isn’t always a viable option depending on the size of the coop, but if a workaround can be done, go for it. The usual warning applies here in regards to live wire or cords that chickens could get injured on. To assist in cooler temps inside, ensure that there’s only a thin layer of shavings on the ground. This will act as an insulator and keep the coop warmer. On those extreme hot days where we open up the freezer door and just stand there letting the cold air envelop us, think of that kind of cold relief for your chickens too. One of the best ways of keeping chickens cool is to put ice in their water. Keeping their H2O fresh and clean is a no-brainer task and adding ice to the bowl helps keep the water cool as your chickens drink it up. It also helps maintain proper body temperature of the chickens. Be careful of the choice in feed for those really hot days. Certain foods take longer to digest which in turn creates additional body heat. Put some berries into the freezer and share them with your chickens. Raspberries, blueberries and strawberries are ideal for a frozen treat. melons work great too. Cut one in half and freeze it and let your chickens pick out of the melon bowl will go a long way in keeping your chickens cool. Here’s a link for a quick read on what to not feed your chickens. What do you think? How are your new chickens? You may call it what you want, “New Year, New You” or “Spring Cleaning” but here at Advantek we are doing our part to tighten our little ship and continue to grow. Changing our name to Advantek Pet was part of the process to further simplify our identity. When visiting our Facebook, Twitter, Instagram, or Snapchat you’ll see a consistent theme of our name, Advantek Pet. 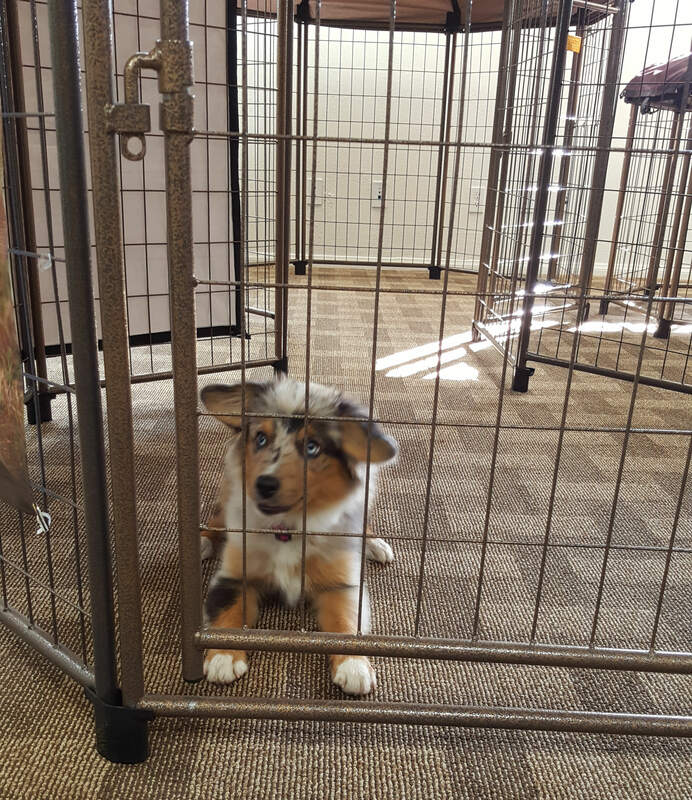 If you have our website bookmarked, don’t worry, you’ll be automatically forwarded to AdvantekPet.com, so quickly you won’t even notice. We’ve been working hard and doing our best to streamline our identity and brand and feel that Pet is much more consistent with who we are as a family. We promise to be cautious during our transition phase as not only is our main website URL changing but so will all of our email addresses. Everyone will still be able to contact us, so don’t worry, this is more about connecting with you. Our official announcement will come next week while we are attending the Global Pet Expo in Orlando, Florida. Will you be attending too? Visit us at booth #1755 and say hi, we’d love to meet you. It’s a new adventure for the Advantek Family. Care to join us? Daylight Saving Time begins this Sunday and while we’re all ready for sunlight to stretch further into the evening giving us the tease that summer is now approaching, how does the time change affect our pets? This is done to take advantage of additional sunlight during the summer as one hour is moved from the morning to the evening. The closer you live to the equator means the less change you’ll see as summer and winter peak. If you live closer to the poles more light will stay in the sky as the summer and winter solstice occurs. According to some sources, Daylight Saving Time saves energy. While the percentage may be small, around 1%, it’s not insignificant as that adds up to massive savings over time. With more light into the evening, less energy is used on home appliances and electricity. The idea was first thought up by none other than Benjamin Franklin. He wrote an essay called, “An Economical Project for Diminishing the Cost of Light,” and thought of the idea as a way to save candle usage. The idea was implemented slowly over time and throughout the world until we have what we have today. With the exception of Arizona and Hawaii, come 2am this Sunday we will be moving our clocks forward, remember, “Spring Forward” and “Fall Back,” or in our case, “Fall Bark.” Yes, technically we lose an hour, but it’s not necessarily an hour of sleep. If we wake up naturally with no alarm clock, then we slept the amount of time we were going to sleep. However, if we set an alarm and are woken up at a scheduled time, then yes, an hour of sleep will be lost. But don’t mourn it too long, you will eventually get it back. Us as pet parents know that something is amiss. We can read a clock–we’re the ones that changed them–unlike our pets that can’t tell time by looking at a clock. To them, something instinctual is off. They are creatures of habit, as are some of us pet parents. It shouldn’t be a shock to you that your dog won’t be adjusted after the Daylight Saving Time change. If they’re used to going on your morning run with you at 6am, they’ll be ready to go before you, urging you on. (Is that really a bad thing?) However, anticipate role reversal in autumn where you’re ready to go and your dog is still sound asleep dreaming of bacon and dirty socks. The same may occur if their meal is always served at the same time. They’ll not eat it right away if their rhythm is off and it feels as though they are being fed early. Of course, some, if not most dogs will eat whatever is in front of them, whenever it is in sight. Just don’t be put off if your pet doesn’t nibble his kibble and bits right away. 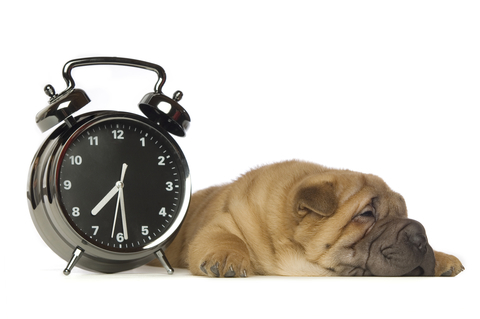 What we want you to remember is that Daylight Saving Time does directly affect your dog and your own behavior reacting to the time change influences your pets. Stay aware and plan appropriately to avoid anxiety and confusion within your pets. Enjoy the extra light and warmth! If you look closely at the packaging when you purchase our products you will see that we hint that our main offices are in Southern California. With that observation, you might wonder what kind of credibility we have in writing about winter. If you do subscribe to that belief let me put your mind at ease. While our offices are in Southern California, some of us have lived and are even from very wintery climates, this includes the Northeast, The Midwest and the Northern Sierras. We have experienced all four seasons, dug our cars out from snow after an eleven inch dumping all while the temperature was -15 degrees Fahrenheit. While none of us live in such a winter climate at this moment, you can rest assured we have the experience to back up our words. To put it simple, of course they do, but they do not don that down winter coat as quickly as us humans. There are always variables in place; for example, the climate specific to where you live. 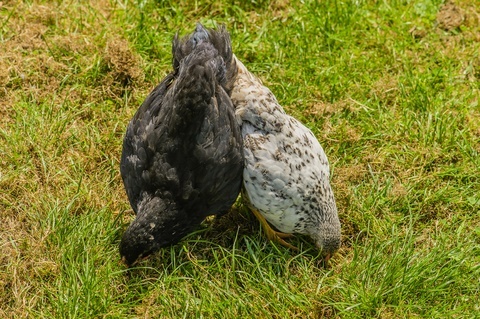 If you’re a Homesteader in Florida your chickens will need little to no winter attention, however, if you have backyard chickens and Duluth, MN is your home you will need to take extra care to ensure your chickens do stay warm. It is habitual. Much like one would winter proof their home or car those chickens of yours will need some maintenance before the frigid of air moves in. Chickens that have large combs are much more susceptible to frostbite and precautions need to be made in advance of frigid temperatures. 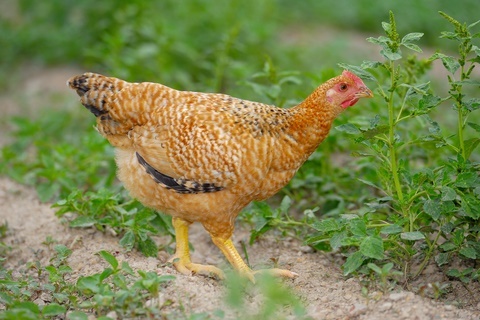 The larger combed chickens are better suited for warmer climates, but that does not mean they can survive and stay healthy in the colder months. One of the ways frostbite can be prevented is by adding a layer of petroleum jelly to their comb and wattle. Signs of frostbite can include black spots on those body parts. Keeping chickens warm just needs these little practices that are not overly expensive. In reviewing our humane standards for chickens you’ll see that proper space that is necessary for chickens to live stress free and healthy lives. Keeping chickens warm comes with relative ease under these conditions. Ensuring that the roosting bars are flat instead of round allows the feathers of the chicken to cover its toes to keep them warm. If they are wrapped around the roosting bar, the tips may not be covered and could lead to frostbite. Chickens do need proper ventilation, but for those climates that are part of longs stretches of cold weather, the ventilation needs to be monitored to avoid the coop being too drafty. Keeping an observing eye will help in maintaining the delicate balance between too cold and warm enough. Chickens can live and thrive in a winter season with the windows open, and having additional nesting material on the floor to avoid it getting too cold will really help their comfort. Chickens require fresh water on any given day, multiple times, but a practice needs to be in place to avoid this fresh water from freezing. Some tips that we’ve found include heating the water in its dish or surrounding area. We recommend caution using any sort of heater, for water or otherwise within your coop. Ensure all electrical components are hazard and safe to prevent fire or any sort of electrocution. Much like all animals it comes down to safety and care. Keep the chicken coops clean, feed them (proper metabolism helps in the body’s natural insulation) and ensure the humane care and your chickens will stay warm, healthy and continue to add to egg production. What do you think? Do you have any tips and tricks you practice during the winter? Share with us below. 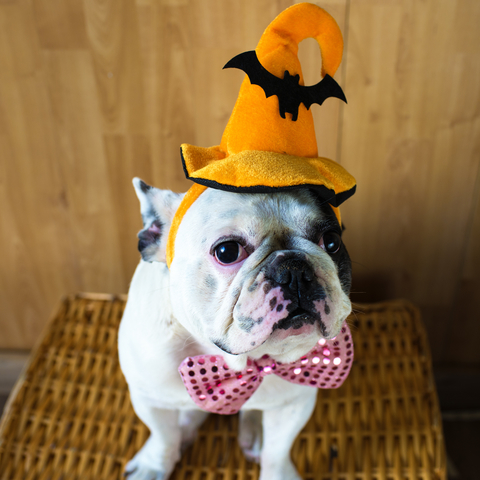 To continue in the theme of Halloween, because, well, it is a week away… we here at Advantek always keep the safety and care of our furry friends in mind at all times. There’s humor and seriousness in most of our posts but at the root of what we’re about is the health and safety of all animals. We are providing some Pet Halloween Safety Tips for you to consider this year and every October 31st. A lot of fun is to be experienced , but please watch out for some of the obvious warnings and some of the not so obvious ones. We already covered some safety hazards in the dressing your pet up for Halloween posts; Yes, You Should Dress Up Your Pets and No, You Shouldn’t Dress Up Your Pets. 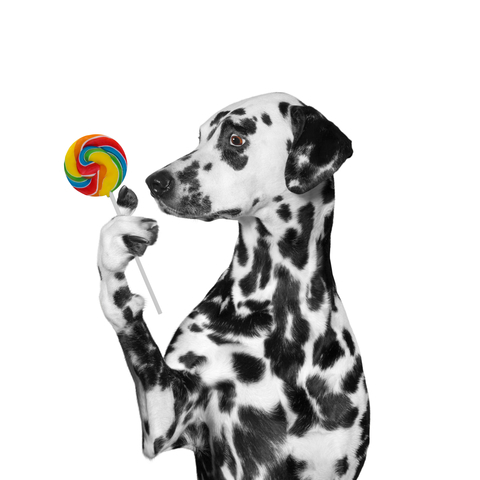 You pets should not eat or ingest any Halloween candy. Don’t let children feed any of your furry family members candy either. Blocking any and all access to the sweet treats is the best defense. Chocolate or xylitol (common sugar substitute) are the big ones that need to be avoided. Keep the trick or treat candy out of paw reach and avoid having little ones leaving their plastic pumpkins full of sugary sweets on the floor. Ensure all wrappers and left over bites are secured in the trash to avoid curious noses leading them to the candy. Every pet is different, we know this to be true, and however, the activity level in a given household on Halloween can make our furry family members, overly excited, frightened, confused and or curious. The door will be constantly opening and closing; kids will be screaming for candy and dressed up in unfamiliar clothing. With our pets being very territorial, this will be a stressful and confusing evening for them. 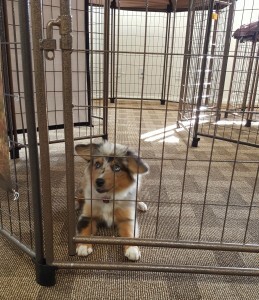 It’s best to keep them away from the door and contained within a safe place somewhere is the house away from all this activity, especially if your pet’s instinct is to bite due to fear of strangers. 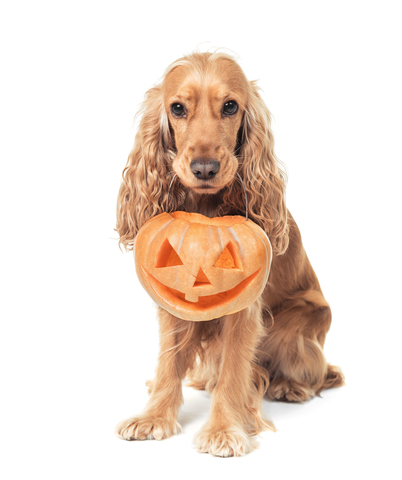 On the chance your furry family members are exposed to the Halloween evening, whether by trick or treating or out in the yard, ensure your pet is properly identified, by collar and tag or microchip. Always play the better safe than sorry card here. Too many things can happen and let’s be protected. Be aware if your pets are not contained with the door opening frequently and our little guys sneaking out while we are distracted. Candles definitely add to the atmosphere of Halloween and with curious noses sniffing around they can be dangerous too. 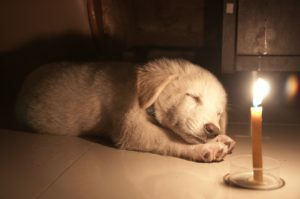 Not only would we worry about the candles tipping over and starting a fire, but our furry family members can get burned. That is not the Halloween memories we are after. Have any safety tips for us? It’s so disheartening isn’t it? 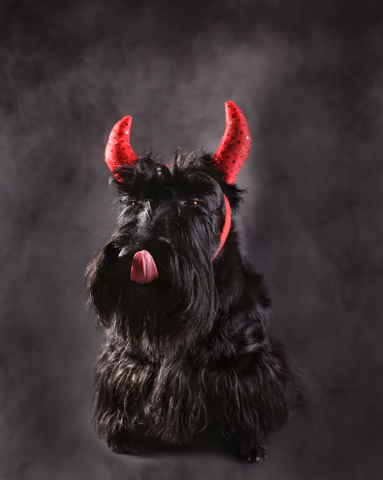 Your adorable furry family members + Pet Halloween Costumes = pure shame. The above quote is from Woofipedia. That urge may take you over this October, your pets are part of your family and you will want them included in the festivities. You’re not alone. 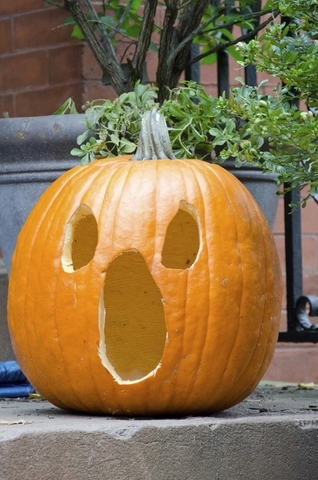 According to NRF, Halloween is big business. We can verify this easily by driving down the street, can’t we? 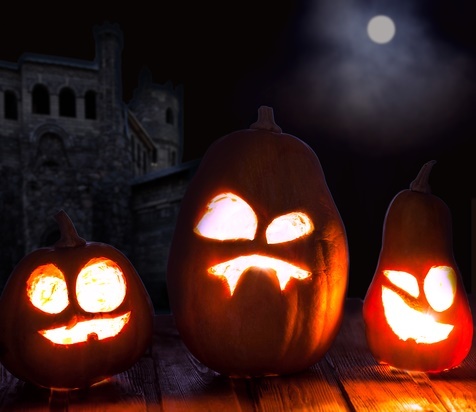 An estimated $8.4 billion will be spent this year (2016) celebrating Halloween. 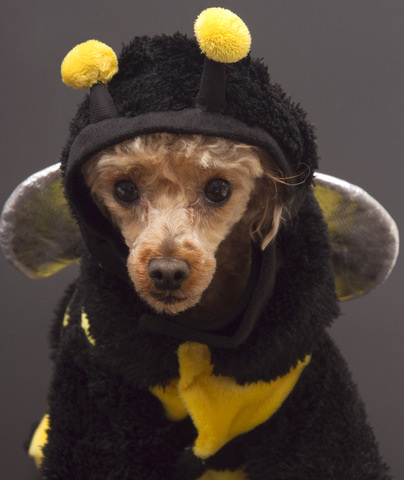 Of that $8.4 billion, $350 million will be spent on Pet Halloween Costumes. So, the idea of Pet Halloween Costumes will never go away with such profit to be had, but some things need to be considered. What are your feelings about Pets and Halloween? Share your thoughts with us. It’s so tempting isn’t it? 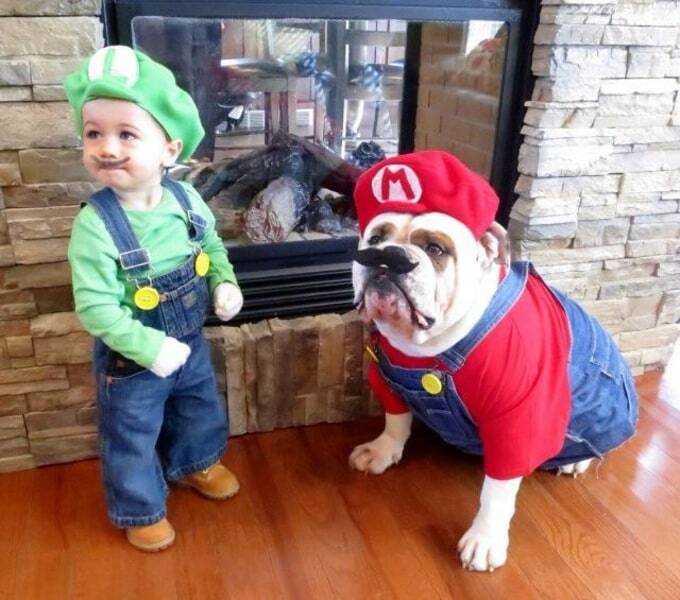 Your adorable furry family members + Pet Halloween Costumes = pure brilliance. 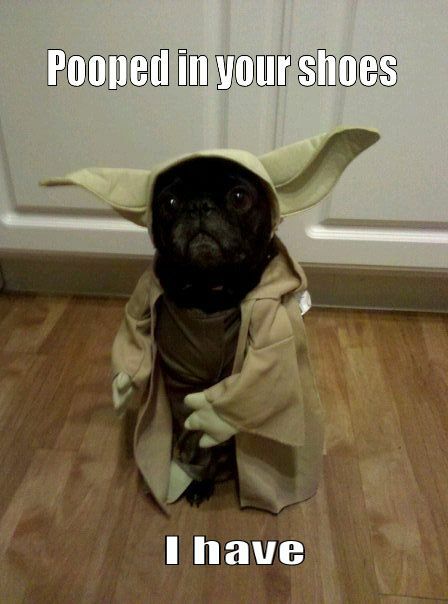 Warn you, I did not. It’s just feels right during Halloween for a family to include their pets. 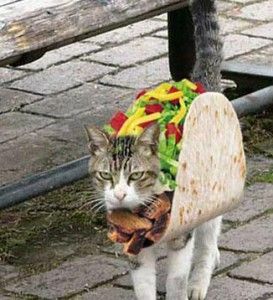 With all forums of social media being avenues to showcase how wonderful your Pet Halloween Costumes are, most people may only dress up their pets for the photo op, and the picture could live in infamy or even go viral. There are many genius ideas out there with amazing execution. These opportunities will bring us joy and a smile every time we see our pets captured in time or the image pops up in our mind. 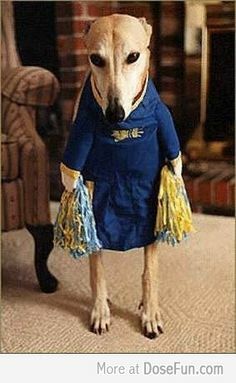 Here are some reasons why we should dress up our pets for more than just the photo op. This Huffington Post article from a few years ago showcases the best of the best. May these drive your creativity with the expectation is that a few chuckles and smiles will escape you. 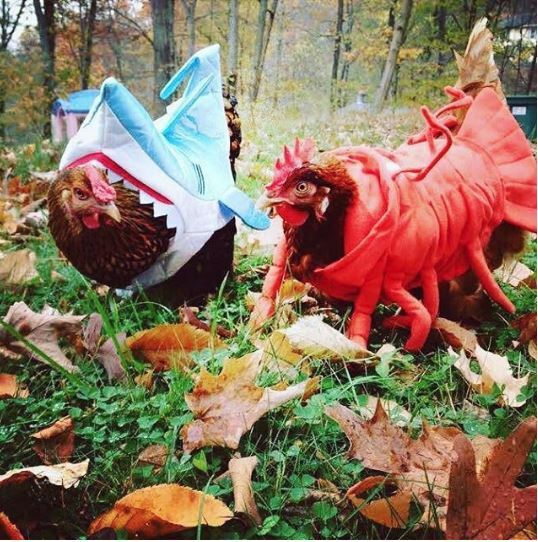 Aside from maybe the first few Halloween’s of a child’s life, dressing up in Pet Halloween Costumes undeniably make the cutest photos ever. We call all agree that the pets represented in these photos are a “ten” on the cuteness scale. Who could resist these furry family members walking up to the door for a treat? Check out this Huffington Post article and this Buzzfeed article for even more cuteness. And there’s a TON of cuteness. 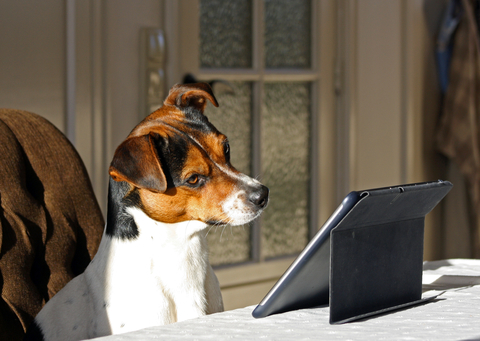 Pets are increasingly becoming more involved within our families. 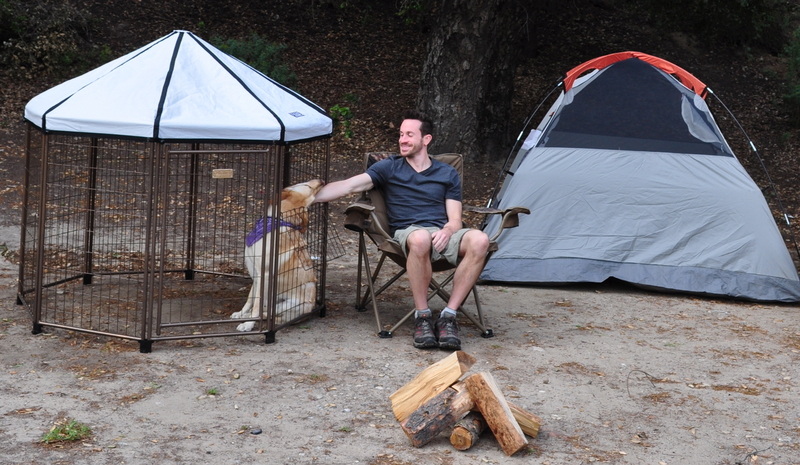 More and more pet parents are including them in most activities, and our pets appreciate it. Dogs especially, welcome an additional sense of responsibility; if taking your children trick or treating, it’s favorable to bring your furry family members along. It gets them out for exercise and they aren’t left home alone, reacting to the doorbell every few minutes for a few hours. This can be incredibly stressful, and every living animal deserves less stress in their lives. Think of all the themes you can come up with! Think about how a dog must feel when they see humans, especially small ones dressed up as them! What an honor it must be for our furry family members. Dressing them up for Halloween may have positive long term benefits. 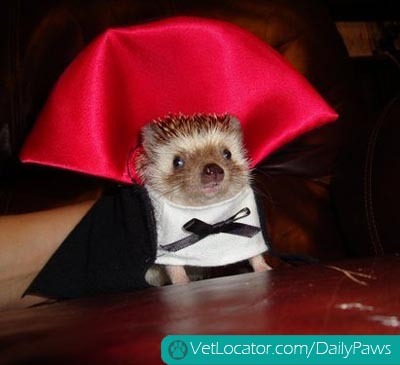 How do you dress up your pets for Halloween? Share your thoughts with us. If you’re like me, there’s something about autumn that we love. It could be the leaves changing, the first crisp morning when your breath is visible, the start of football season and of course all things flavored or scented or colored by the name of pumpkin. There are really great things out there decorative and recipewise, from Pumpkin tortellini and those Jack O’Lanterns carved into your favorite Pokémon. I’m personally a big fan of the pumpkin scented soaps and lotions, but I digress… Much like the aroma of a Macintosh Apple, the nostalgia the aromas bring is warming to the soul. But what about pumpkin, pets and… overkill? Pumpkin, Pets and… Is it too much? It’s real easy to get caught up in the pumpkin craze. Everything seems to have a pumpkin twist to it like Pumpkin flavored Seltzer Water and Pumpkin Spiced Pumpkin Seeds. How much more pumpkin can you get when it’s already pumpkin? may contain bacteria. Fresh, or the unsweetened pureed canned pumpkin, proportioned, based upon the size of your pet has many healthy benefits. Through a dog’s ear website has this to say about consuming pumpkin. Pumpkin is a fabulous source of fiber for our furry friends, as well as for us. Pureed pumpkin (with no added sugar or spice) can help dogs and cats with both constipation and diarrhea. Adding a tablespoon or two (in proportion to their size) to their regular meal is known to help keep them regular. It can also help dogs and cats with indigestion or upset stomachs. I have Labs. Anything is edible to Sanchez and Gina, and I’m sure they would eat it right out of the can if allowed. 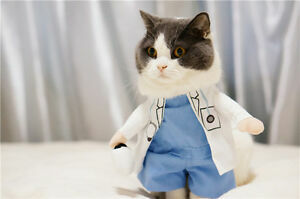 Most cats are usually a little more finicky. According to Veterinarians Laci and Jed Schaible, co-founders of VetLIVE.com, pumpkin seeds are high in essential fatty acids and antioxidants (good for overall healthy skin and fur), and the oils in pumpkin flesh and seeds are believed to support urinary health. They are also an excellent source of Vitamin A, beta-carotene, potassium and iron, and may even reduce the likelihood your pet will develop cancer. Dogs seem to naturally love pumpkin. 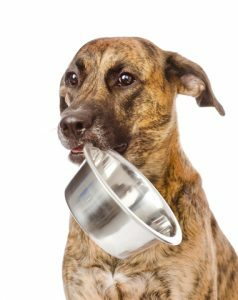 If you are looking to take a few pounds off of your pooch or kitty, try reducing a portion of their food and replace it with the same portion of canned pumpkin. Their tummy will feel just as full, and they might even thank you for the additional flavor. 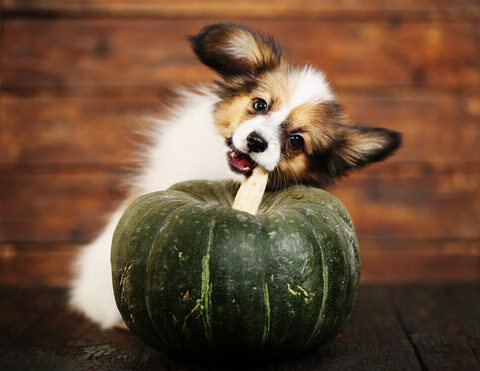 Those three topics encompass almost all that you need to know about pets consuming pumpkin. It’s healthy when done in proper servings and avoiding sugary and spiced pumpkin. PetMD has this to add to the health benefits of pumpkins and our pets, “Pumpkin contains nearly three grams of fiber per one cup serving. Fiber promotes a sense of fullness and can potentially enhance weight loss by reducing the physiological urge to consume larger volumes of food. 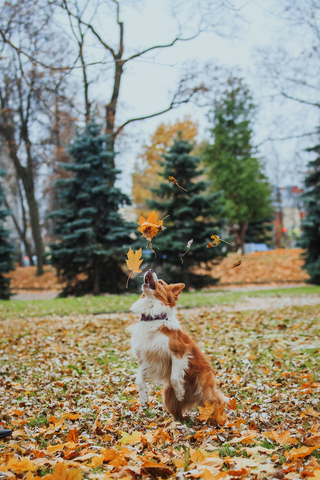 There’s a lot more valuable information over on their website, a fantastic resource not just for pumpkin pet consumption, but for your pet’s overall health. To recap… If you’re someone who is all about the seasonal favorite, you are not alone. Embrace the flavor and share, because it’s not just you… Even these animals are as crazy about pumpkin as you are. What are your favorite autumn treats? Yes, those eating machines can’t tell the difference between what is food and what is not. This is one of those times where prevention is key–much better to be preventive than reactive. If you can think of it, own it, drop it or forget about it and it’s in the proximity to where your chickens wander about, yes, they will eat it. We’re talking about screws, bottle caps, cigarette butts, tree branches and paper clips. The best and clearest advice is to keep your chickens in an area where there is nothing harmful for them to ingest. If you’re new to the idea of backyard chickening then you will learn that chickens will instinctively swallow small rocks and pebbles, this is because your new feathered family members do not have teeth and as far as chicken anatomy goes, these pebbles will find their way into the gizzard which is a second stomach and help grind down the food that was swallowed hole. Chickens looking for bugs and not screws to eat. But what about my Chickens and Plant Toxins like the page suggests? 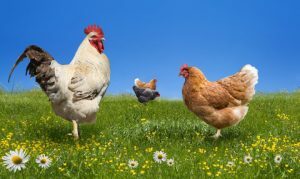 What in your garden or yard should your chickens stay away from? Or, what should I plant in my yard that won’t be harmful if ingested by my chickens? These are fantastic questions and the thing you need to remember is… If they can get to it, they will eat it. If you happened to have purchased one of our newer Chicken Coops, The Rooftop Garden, Thank you! Then you know we combined two great things about a backyard; Chickens and a garden. If you haven’t purchased one yet, it is the latest in the Pointe Elizabeth line of products that have debuted this year. 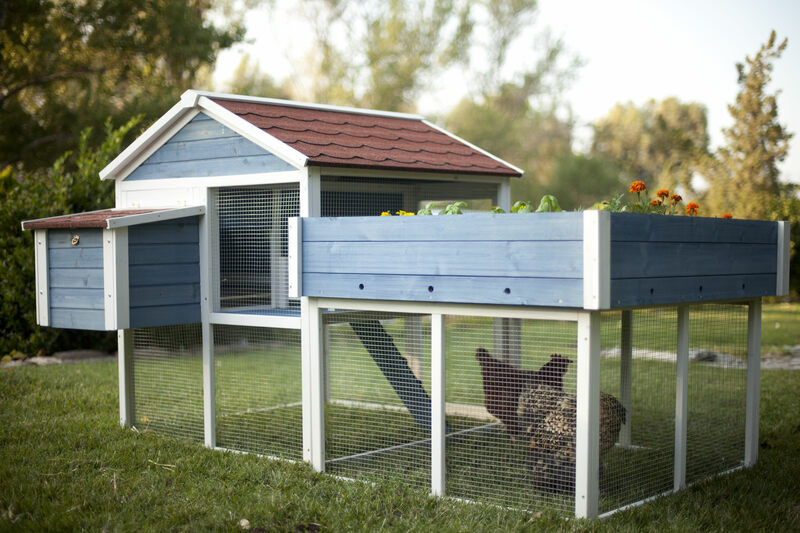 While big in run space the nesting box is perfect for 2-3 chickens allowing for humane treatment of your chickens. Read more about our Humane Chicken Coop Campaign Here. 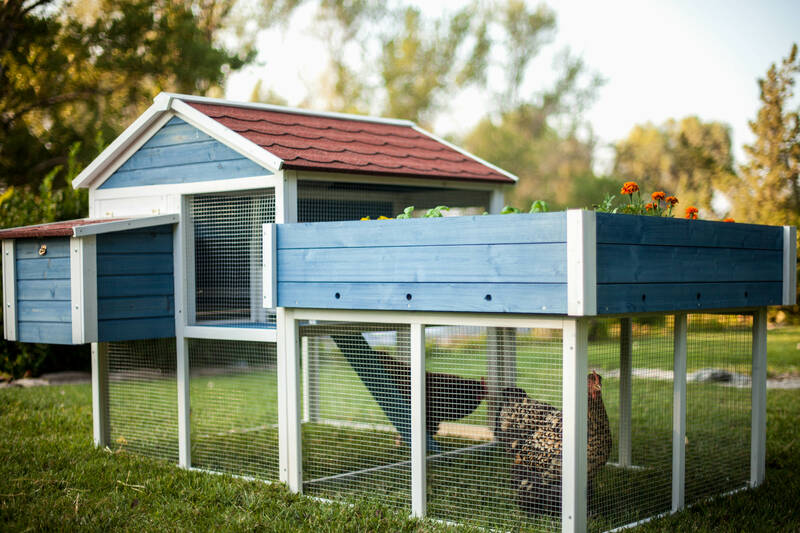 It’s perfect for almost any size backyard and the best part is, you won’t be giving up you garden space to house your chickens. But! What should you plant? There is an extensive list of poisonous plants over at BackyardChickens.com it’s informative and well worth your time. Use your judgement and it’s also incredibly important to know your surroundings. Your local bookstore usually carries a guide to native plant life. This is important when identifying all types of plants in your backyard that were inherited when you moved in. Chickens and Plant Toxins do not mix. Your chickens will feel like family members in no time and deserved to be treated as such. Also toxic to chickens are apricot leaves and pits. While they will enjoy the fruit, most fruits actually, stay away from the other parts of the tree. It is also known that those of you that live in cold weather climates, be aware as a hard frost or freeze can intensify the toxicity within certain plants. Chickens and Plant Toxins are especially important when it comes to tomatoes. Chickens love tomatoes. It’s a special treat and they will eat them up if they get to them in your yard. BUT! The tomato plant itself is quite poisonous to chickens. Herbs tend to be too fragrant for chickens to want to eat. Doesn’t mean they won’t have a taste but they usually stay away. Plus, when they do have a craving for herbs their poop will tend to smell like the plant. Your chickens very well may pass sweet mint poop. How do you prevent chickens from eating toxic plants. Add your comments below. Do you like our blog? Follow us on social media for more good stuff. You Got a New Pet! Now What? Mary Puppins on You Got a New Pet! Now What? Ashley Beatrice on You Got a New Pet! Now What?